John McCarthy CBE is Britain’s Longest Kidknap Victim. He is an Author, Broadcaster and Keynote Speaker. John’s awful journey of self discovery began in April 1986 when he was working in Beirut for a television news agency. The political situation in Beirut escalated and it became too dangerous to stay. He held a goodbye drinks celebration for his friends and made no secret of his route home. This proved to be his greatest mistake. He was kidnapped at gunpoint by Islamic fundamentalists on route to the airport and spent the next five years, sometimes blindfolded, often very scared, in a mosquito-ridden cell in the Lebanon where he endured beatings, physical hardship, boredom and at times, solitary confinement. Amazingly, it wasn’t all gloom and doom. Much of his captivity he shared his cell with Irish lecturer and philosopher Brian Keenan. Their horseplay, sense of humour and friendship was a lifesaver in every sense. Together they tried to comprehend why their guards acted as they did and to understand their political and religious motivations and beliefs. John and Brian sometimes had the courage to stand up to their captors and they were, at times, even able to joke with them. But there were hellish moments too, of course, such as the times when they were gagged and bound from head to foot in sticky tape like modern day mummies as they were transported from one cell to another. Many incidents were hard to forgive and forget. 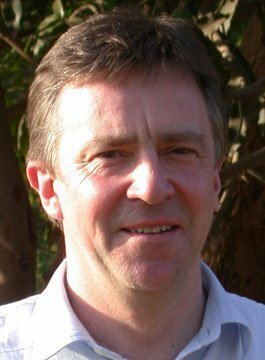 John McCarthy was eventually released by the Islamic militant group on 8th August 1991, after 5 years in captivity. The journalist and author was Briton’s longest held Hostage in Lebanon. John is an extemelly popular choice as a keynote speaker, sharing his experience of being a hostage for five years in the Lebanon and the supreme levels of self-motivation he needed to stay alive. John’s story is inspirational not only because he survived but also because he is able to describe the cruelty he suffered, as his captors tried to break his spirit, with such extraordinary dignity and humour. "A very natural style and delivery from John which makes for a presentation that comes from the heart – a superb presentation"